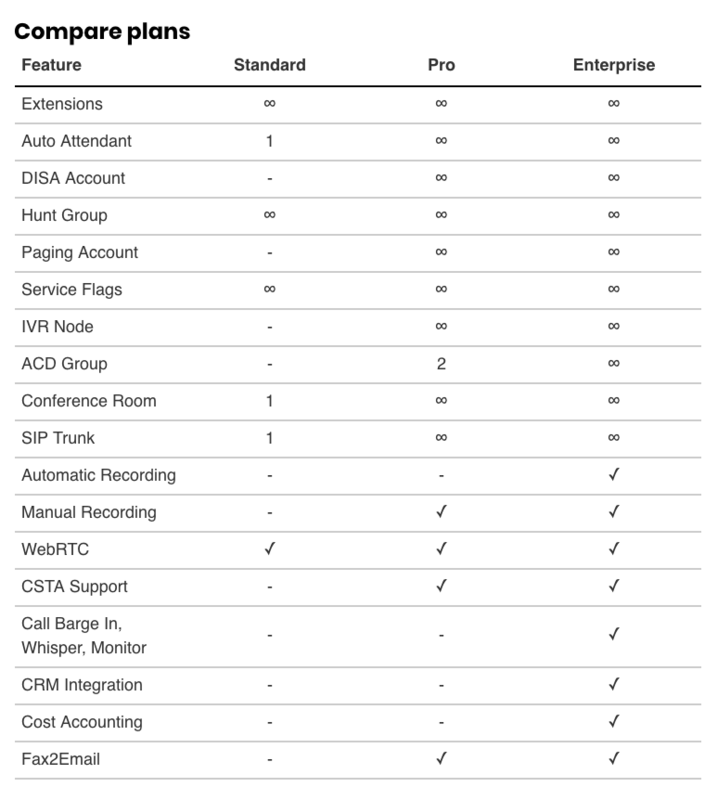 The mid-tier pro edition includes everything you get with the standard edition, including unlimited extensions, unlimited hunt groups, unlimited service flags, and WebRTC. Additionally, you will receive unlimited: conference groups, auto attendant, DISA account, paging account, and SIP trunks. Also, take advantage of CSTA support, manual recording, and Fax2Email conversion.